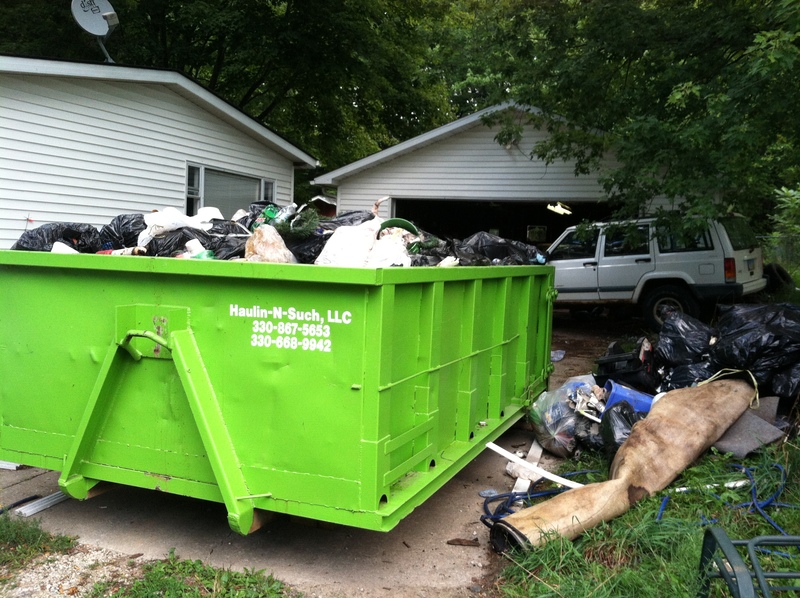 Get rid of household debris with a dumpster rental from Haulin-N-Such! What’s household rubbish? It’s the contents of a house not associated with constructing the house. For example: clothing, furniture, couches, chairs, bedding, beds, curtains, curtain rods, wall hangings, decorator items, lamps, chairs, end tables, kitchen tables, coffee tables, dishes, pots and pans, cook ware, appliances, household trash, children’s toys, and much more. If you need to remove household debris and rubbish from your home, why not get a dumpster rental from Haulin-N-Such? We bring our dumpsters to you, and pick them up at a later date. Our main service areas are the Akron and Medina, OH areas. Call for junk removal service and to schedule a dumpster rental in the Akron and Medina, OH areas!